The loop device is a block device that maps its data blocks not to a physical device such as a hard disk or optical disk drive, but to the blocks of a regular file in a filesystem or to another block device. This can be useful for example to provide a block device for a filesystem image stored in a file, so that it can be mounted with the mount command. 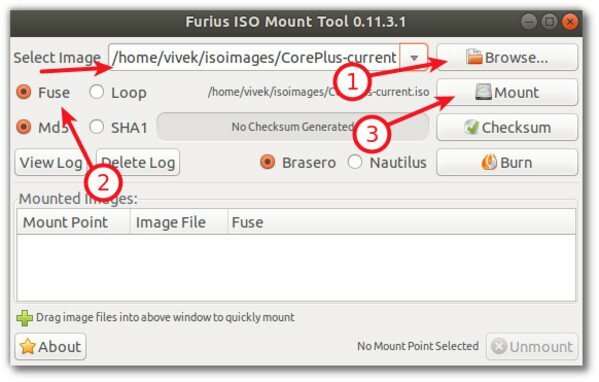 How do I unmount the ISO image on Linux? Just what i needed, mahalo! Thanks! This was very very easy to find and follow. 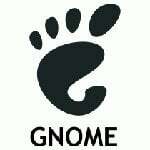 I’m new to linux and this is the reason I made the swicth, the help that everyone give make learning linux easy and fun. Thank you for your time, thank you! sweet! worked cleanly, no stupid paid software for windows needed to do such a simple task! Looks like we cant mount it for RW. Bloody well then. You’d have to finalize the RW disc so that it becomes an iso image. You can still erase the disc later. I think he means mounting the iso file for reading and writing. This tip was a great help! I only need to read the iso for installations so thanks a heap! Works like a charm. It kept me from Burning a DVD for a computer that didn’t read DVDs. I did a Net Install of Linux over FTP. I copied the File to a Linux FTP Server, mounted the ISO and did an install. Sweet. But what if I don’t have root? Or am too lazy to su or sudo? the .img .iso and .nrg images can mounted directly, only change the options for loop and offest..
other method is coverting the image to native iso image and then mounting normaly..
u dont need su or sudo for mounting, that is stupid..
only added user to cdrom and disk groups an mount groups, and now user can mounting without any su or sudo permissions..
@hedron: You need root access to mount any device, unless it is listed in /etc/fstab and has the option “user”. That also answer your question: Set up a filename convention for the iso image (/home/user/mountme.iso) and the directory where to mount it (/home/user/mountmehere), add an appropriate line to /etc/fstab, don’t forget the option to allow ordinary users to mount the pseudo device, and you’re done. the tool to manage virtual devices as iso images is CDemu compilation and has two brands, old and new..
Um, what if it comes back asking for a fs type? RH50ES states “you must specify the filesystem type”. hey vivek , great allround effort this .. I have feeds from your site and follow your site religiously ..
FYI, I have seen “disk1.iso: Permission denied” errors. This can be corrected by adding a ro flag. r u sure dat it’ll work. Top of the google results! Thanks for the help. Can’t find rollercoastertycoon2.iso/mnt/iso in /etc/fstab or /etc/mtab. This is probably something stupid that i am missing cause for some odd reason mandriva likes to go round the world for a shortcut. If anyone can help me on this it would be well appreciated cause i am a fast learner and once i am successful the first time i will beable to do this no problem time after time again. but it doesn’t work for .mdf/.mdf files tells me is a wrong fs type or bad option. 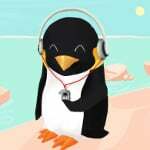 Is there another way to mount alcohol images in linux or will I just have to convert it? you may use acetoneiso for gui…..
Hi all. I am fairly new to linux, but I need create an ISO from files that are already on my hdd. I’ve searched and to no avail, i’ve not been able to find any info on making an ISO from files that aren’t on CD/DVD. Any help with this would be greatly appreciated. Thanks so much. Use mkisofs command. 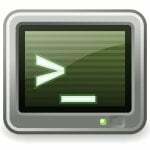 Create an ISO file that can be opened on both windows and Linux computer for /home/vivek directory. Thanks Vivek. This got me thinking… Is it possible to “take a snapshot” of drive with the system installed and make a bootable CD with the image? Possibly it becoming a system recovery? Yes, you can create full recovery tape or dvd with help of dump and restore command. i have an iso image of rhel 5.1 dvd pls let me know how to burn it to dvd on command line. Very nice, and simple, how-to. Not much of a Linux guy and this was easy enough I was able to get it the first time I tried. Any chance you could tell me how to unmount it now? disk is the name of the folder you created. 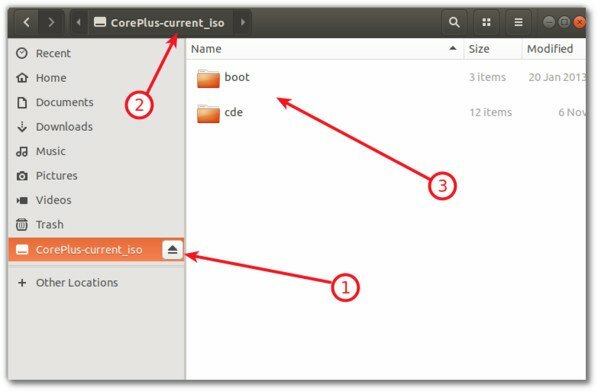 How to make a multi-distro bootable USB disk, using ISO images ? After extracting the .iso image, i cant able to change the permission of that extracted files.not even to change the ownership.Any help with this would be greatly appreciated. Thanks so much. Plz help, im 100% new to linux and i have no clue what im doing!! i tried to copy what the instructions says but it says there is no such directory… can anyone help me?? Thank you, this really helps. Its fine to get a clear and easy instruction! What if I want to mount an ISO file as the CD, like Daemon Tools, how can I do that? Is there a command to unmount these once done – just like umount in Solaris?? Note- please note that I have iso file on / and mounted on /mnt/os please change these things accordingly. Not even the Parallels support team could help me with this one, they tried to sell me on getting upgraded to 9. Can u help me out with this? -t : image type: can be any image: cdrom, msdos, ext2..
6/16 Where has this been all my life! Great post! !